A creative marketing agency can produce visual advertisements that sensationalize the entire world. Including digital ads, installation art, 3D billboards and more, the latest trends are different to say the least. What's phenomenal is the widespread reach that ad publishers now have. The 21st century offers so many platforms that double as sales channels. You're being sold to everywhere you go - often with the help of art. Businesses and marketers know this, which is why you always see traditional art in modern ads. Don't believe it? Pizza Hut crossed the line with an ad featuring Mona Lisa to market "Classic Italian crust." It's the most sensational example -- check here to see many other instances of traditional artwork in modern ads. Why Is Art So Impacting? Art is beautiful and compelling. The goal is to make every ad and webpage design look like a masterpiece. Bringing art into your creative marketing strategy just makes sense. A terrific example of artistic innovation in the advertising world is the Australia Post's "Hug" ad. It's a basic image ad displayed on paper and not some fancy 3D or installation display - yet it touched the world. 3D artwork and other attention-grabbing ads serve a very important purpose, though. The average person glances at your ad for maybe two seconds. Within this time, you need to quickly stand out and get your message across - both 3D billboards and installation ads can make this happen. Tell a unique story to make your creative marketing campaign more successful. There are at least three newer trends starting to take off. These include 3D billboards, motion graphics and window billboards. Nike created a billboard featuring a soccer player who appears to be kicking a soccer ball. It's an illusion, and nearby (below) is an oversize soccer ball statue. 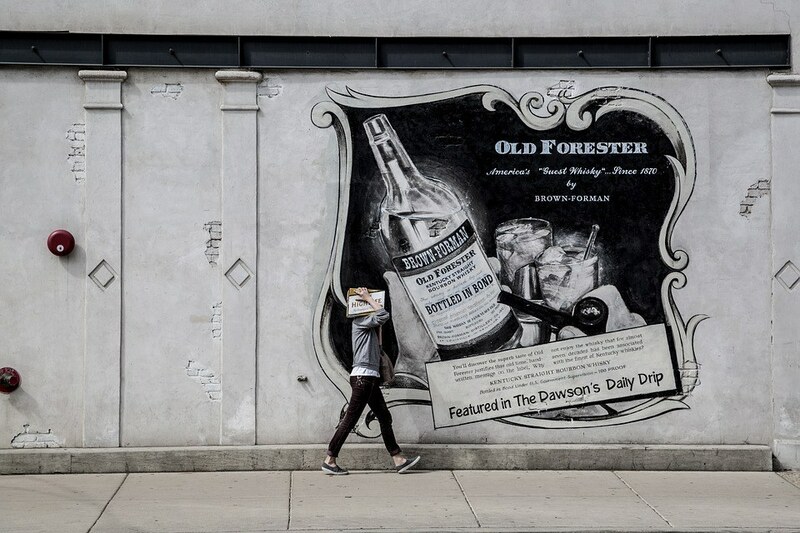 It's a wonderful example of installation art, which lets you tell a story through your ads in the physical world. And, that's not the first 3D billboard to exist. In fact, 3D is the prime way to advertise at NYC's Times Square. 3D billboards are here to stay - any business advertising offline should plan to be more creative now that the bar is set higher. Motion graphics are also very appealing, but they require specialty experience. We are proud that our award-winning front page is proof of how well motion graphics work, even in web design. advertising on the streets of New York City. Sony's effort involves a 3D translucent screen onto which laser beams cast multicolored 3D images. As technology advances, many more unique advertising trends will surface. Start from the ground up with a creative agency that can work around your marketing strategy, and build brand visualization materials that get your message across. With an ad that stands out, you'll be able to build brand awareness and get your products noticed. The biggest benefit of hiring an agency is that multiple professionals work to make your project a success. In a team-based environment, there are no weak points, and your ads are groomed for optimal performance. It's possible to achieve greatness when you use art in your ads. But, there's a big difference between perfect and average imagery. With a homepage that speaks for itself, Electric Enjin uses 3D graphics, motion graphics and multiple programming languages to deliver state-of-the-art designs that tell a story. Contact us today to discuss the web design services you desire.